The Pet Travel Scheme (Pet Passport) has opened up the world of dog shows. Not only can UK exhibitors now travel to many other countries to exhibit their stock, but overseas exhibitors are also able to visit our shores and compete alongside British dogs. Show rules tend to differ when exhibiting overseas and it is wise to find out the differences before inadvertently breaking any during your visit and risk losing any wins you have collected. Always ensure that your dogs details are up to date before travelling, otherwise your valuable show dog could miss six months worth of shows whilst languishing in a quarantine kennel! Before entering a show ensure that you comply to the country’s docking rule if you have a docked dog. If in doubt ask the Kennel Club for advice. In some countries a gundog must have hunting certificates before it can become a champion. 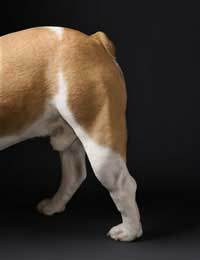 In some European countries it is not allowed to enter a neutered dog for competition and is advisable to check before making an entry. Ensure your dog is travelling securely. Ideally a cage should be fitted to your car so that your dog is restrained if there is an accident. Be aware of local laws concerning dogs in cars as they can differ. Ideally, always have your dog caged in the car and never leave him alone in the car. The breed name of your dog may differ greatly from what it is called in the UK. Also there will be different group systems to the groups you are used to finding in the UK show scene. Making up a champion differs from country to country. Your dog can become either a national champion or an international champion depending on his wins. In the UK a dog needs to win three challenge certificates (CC’s) from three different judges in order to be made a champion, the equivalent in Europe is the CAC. Details of shows giving these awards and how to become a champion can be gained from each country’s kennel club or organising body. For international champions, the award is called a certificate d’aptitiude au championatt international de beaute (CACIB). Details of how a dog becomes an international champion can be obtained form the FCI. To claim an international title, a dog must first become a UK champion – the claim is made though the UK Kennel Club. For UK exhibitors travelling overseas to show our dogs in the twenty first century, we have a duty to show the canine world that we are responsible dog owners and can be relied upon for our sportsmanship and respect for the country we are visiting. We are, after all, the ambassadors of the UK canine world.